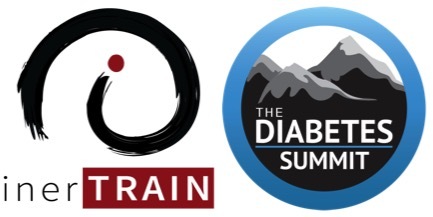 LOS ANGELES—April 11, 2016—From April 18-25, 2016 inerTRAIN is sponsoring The Diabetes Summit, a free online event created to help people regain control of their blood sugar to prevent complications and optimize health. As diabetes continues to affect millions of lives around the world, inerTRAIN has the opportunity to reach diabetics globally through its online personal training program. In the past year, the number of people who have diabetes has increased from 387 million to 415 million. By 2040, the International Diabetes Federation (IDF) predicts this number will reach 642 million. Exercise is a major component to combatting type 2 diabetes, but not everyone has the resources or knowledge of how to adjust their fitness habits to improve their condition. inerTRAIN makes personal training more accessible to the larger population by making it more affordable and convenient. To participate in this free, online event and learn more about how to address, prevent, and control all forms of diabetes, register at www.thediabetessummit.com. Dr. Brian Mowll created the 2016 Diabetes World Summit to help you and those you love regain control of blood sugar to prevent complications and optimize health. The 2016 Diabetes Summit experts will share their tips, strategies and secrets for controlling and reversing type 2 diabetes, pre-diabetes and metabolic syndrome to help prevent complications and optimize your health. For more information, visit www.thediabetessummit.com.